SRK's Precast Counterfort Retention System (PCRS) has a long history of innovation with engineered solutions, designed to bring sustainability and precision as well as ease, safety, and speed of installation. 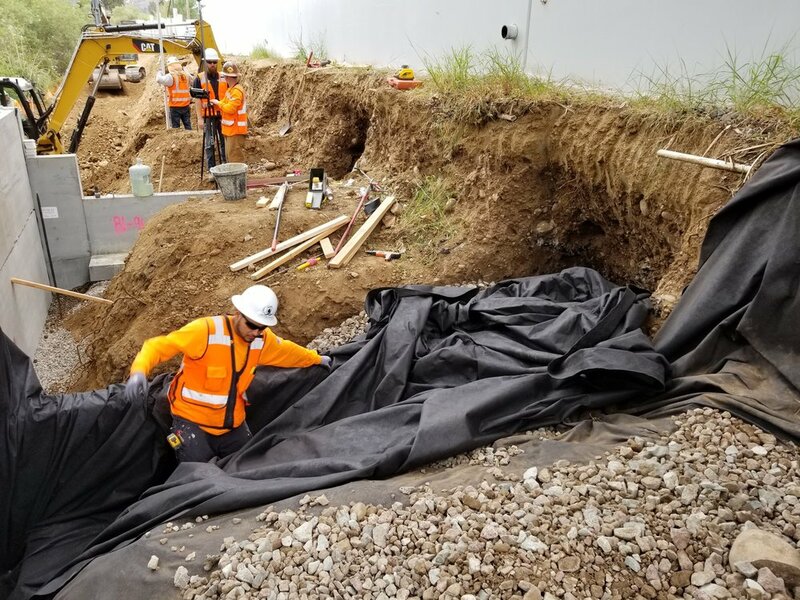 As a counterfort wall system, SRK simplifies on-site installation and eliminates shoring while providing the performance required by the most demanding roadway, railway and sea wall applications. Read more below to learn about SRK's innovative solutions. The Precast Counterfort Retention System (PCRS) is designed in accordance with American Railway Engineering and Maintenance-of-Way Association (AREMA), American Association of State Highway and Transportation Officials (AASHTO) and State Department of Transportation (DOT) codes, based on load resistance factor designs with service level checks where required by code. 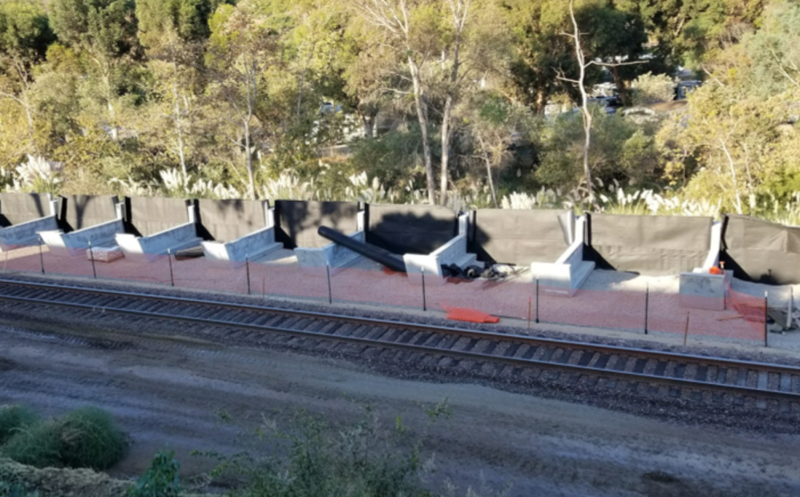 SRK's partner and patent holder, All The Walls Inc., has over 30 years of experience supplying clients like SRK with innovative high-quality and cost-effective precast designs for railroad, highway, and seawall applications with a flawless track record. One of the key features of the PCRS wall is the elimination of shoring normally associated with the installation of retention walls. 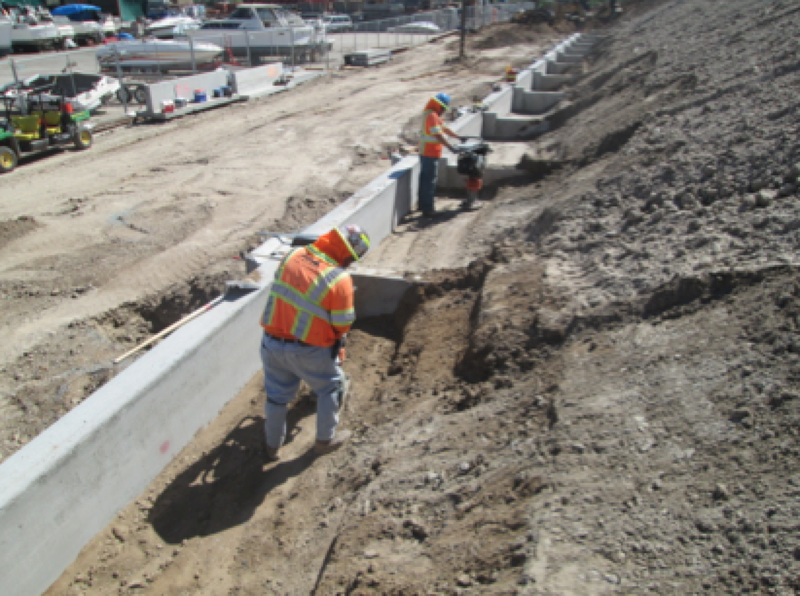 By utilizing the "slot-cut" installation method, temporary shoring, which may be required for other wall types, is eliminated. Therefore, the overall wall cost and construction time is greatly reduced compared to other wall options. The horizontal counterforts are placed in excavated slots that are cut into an existing embankment so that shoring is not required. In addition, counterfort foundations reduce the wall bearing pressures, and result in less overall settlement potential. SRK's Proprietary Wall System (PCRS) wall offers a unique and simple solution to multiple construction challenges. The flexible wall has no mechanical connections, yet has very strong and rigid structural component. High quality precast concrete is used resulting in high durability and superior corrosion resistance. The horizontal counterforts internally stabilize the wall, providing pullout resistance against the lateral earth pressure exerted on the retaining wall internally stabilize the wall, providing pullout resistance against the lateral pressure exerted on the back of the face. The result is a innovative, cost saving wall with no mechanical connections necessary.